The denizens of boss battles have set their sights on Nintendo 3DS. 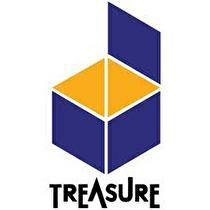 Sin & Punishment developer Treasure has announced that it is working on an action game exclusively for the Nintendo 3DS. "We are making a new game on Nintendo 3DS now. Not multiplatform, but exclusive to 3DS." Here's some new information you can really sink your teeth into. Gabriel Belmont, protagonist of the original Castlevania: Lords of Shadow, will be making a return in Mirror of Fate for the 3DS. Gabriel rounds out the cast of four playable characters, joining Alucard, and Simon and Trevor Belmont. Will Madden find a home on the eShop? 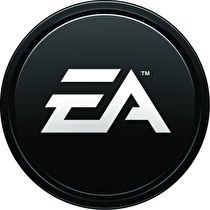 Electronic Arts' Peter Moore spoke on the Wii U, noting that, while its online structures are an improvement over the Wii's, EA is unwilling to commit to digital delivery of its games through the eShop. The Big N released a patch to fix a few bugs in Dr. Kawashima's latest title. An update for Oni Training on the Nintendo 3DS was made available on the eShop today. A full list of locations and times for the new Wii U Experience Tour inside. UPDATE: You can now see the session times for each location here. Wii U Experience Stores will be coming to select locations around Australia throughout November and early December to showcase the new system to the general public. Square Enix's new IP for the 3DS is about to brave the digital frontier. Bravely Default: Flying Fairy is coming to the Nintendo 3DS eShop as a downloadable title on November 1 in Japan. The digital version will be cheaper than the retail copy, priced at 5,400 yen compared to 6,090 yen for the boxed version. Bravely Default was released in Japan on October 11. There is still no word whether or not the game will see a release in Western markets. We didn't have to wait long to get a confirmation of the rumor. 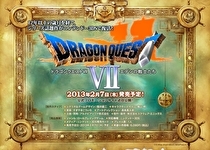 A 3DS remake of Dragon Quest VII: Eden no Senshitachi (Warriors of Eden) will be released in Japan on February 7, 2013, a newly opened Square Enix webpage confirmed. At the recent investors meeting, Iwata discusses Wii U sales information, 3DS worldwide performance issues, pesky Friend Code business, and more. Nintendo opened the floor to its investors last week, commenting on Wii U supply and demand, and allowing questions to be asked of Nintendo President Satoru Iwata during their Second Quarter Financial Results briefing. Sam Fisher may have sneaked by on this one. 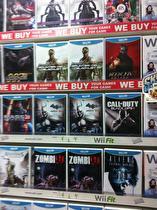 A Splinter Cell Blacklist display was found in a GameStop, according to a NeoGAF user. The forum user found this display in his local GameStop in Dublin, Ireland. Even though we've seen no evidence to indicate Blacklist will be coming to the Wii U, this is not the first hint that this game might come to the Wii U. A video from HipHopGamer also noted that Splinter Cell would be receiving a Wii U release. 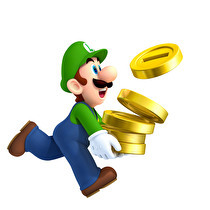 Save your coins and shelf space with Nintendo's digital incentive program. Nintendo of America has revealed the details of their Wii U digital download incentive program, titled the Deluxe Digital Promotion. 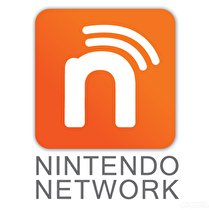 The program, which runs through the end of 2014, will offer approximately ten percent of the purchase price back to the customer in store credit which can be used on either the Nintendo 3DS or Nintendo Wii U eShop. New Super Mario Bros. U will have a new feature that tasks players to capture a burglarizing bunny before he makes off with Toad's stash. A leak from JUMP could give us some insights on what's coming next from Square Enix on 3DS. Australian families can team together to compete for the chance to win cool prizes! Australian families will have the chance to participate in a nationwide Mario Kart 7 competition throughout November to find the fastest family. Yoshi dances with an octopus in a race... or something like that. Nintendo has revealed details on the final three Nintendo Land attractions. The three games are Yoshi's Fruit Cart, Captain Falcon's Twister Race, and Octopus Dance. In Yoshi's Fruit Cart, players are required to use the TV screen to find fruit and avoid obstacles while controling a cart with the GamePad's touch screen. There are about 50 stages in total. 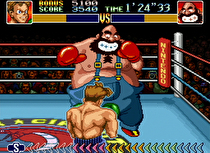 Little Mac has to fight his way to the top of the WVBA in this SNES classic. Super Punch-Out!! is now available as a Club Nintendo download reward for 150 coins. Club members have until November 14, 2012 to redeem this Wii Virtual Console title, which originally released on the SNES back in 1994. Super Punch-Out!! replaces Pilotwings as a redeemable Club Nintendo reward. The DSiWare title Pro-Putt Domo is also currently available as a reward for 100 coins until November 4, 2012. SpotPass is long dead in Japan, but Tobidas, a comedy sketch program, rises from the dead and comes to Nintendo Video. Also, learn about the roots of the careers of both Game Center CX's Arino and the Nintendo president. Satoru Iwata mentioned his interest in making video games once more, but says it would be an inconvience for many people involved. This and more he mentioned in a Q&A session on the Game Center CX special, which aired after the Nintendo Direct conference. 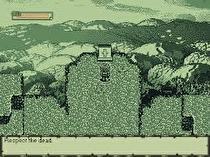 Two Brothers, a retro-styled action role-playing game, is coming to the Wii U eShop in 2013, developer Ackkstudios announced this week. Apparently solving puzzles in Professor Layton is more important than your job. Penélope Cruz and Mónica Cruz are featured in a new commercial for Professor Layton and the Miracle Mask. The commercial starts with Penélope trying to help her sister complete a puzzle in the new game. She is interrupted, however, and called to the scene of some sort of film shoot. Whilst performing her scene, she stops and rushes back to her sister with the solution to the puzzle she was trying to complete. The digital version of the game will be cheaper, but at the expense of a massive chunk of hard drive space. Tekken Tag Tournament 2: Wii U Edition will be sold on the Wii U eShop, as well as at retail, when it launches alongside the new console. In Japan, players who buy the digital version will make a small savings, as Namco Bandai Games revealed that the download will cost 6,280 yen, whereas the retail version is priced slightly higher at 6,980 yen. Pricing details for the Western release are yet to be announced.